Yoder’s Hamburger Ground Beef - Fully Cooked, 10+ Year Shelf-Life, Produced In USA, USDA Inspected - 28 Ounces | BUDK.com - Knives & Swords At The Lowest Prices! Made by Yoder’s in Ohio, an Amish family tradition for more than 40 years, this product will protect your family and yourself in times of uncertainty. It is perfect for your food storage plan, family preparedness and emergency readiness. 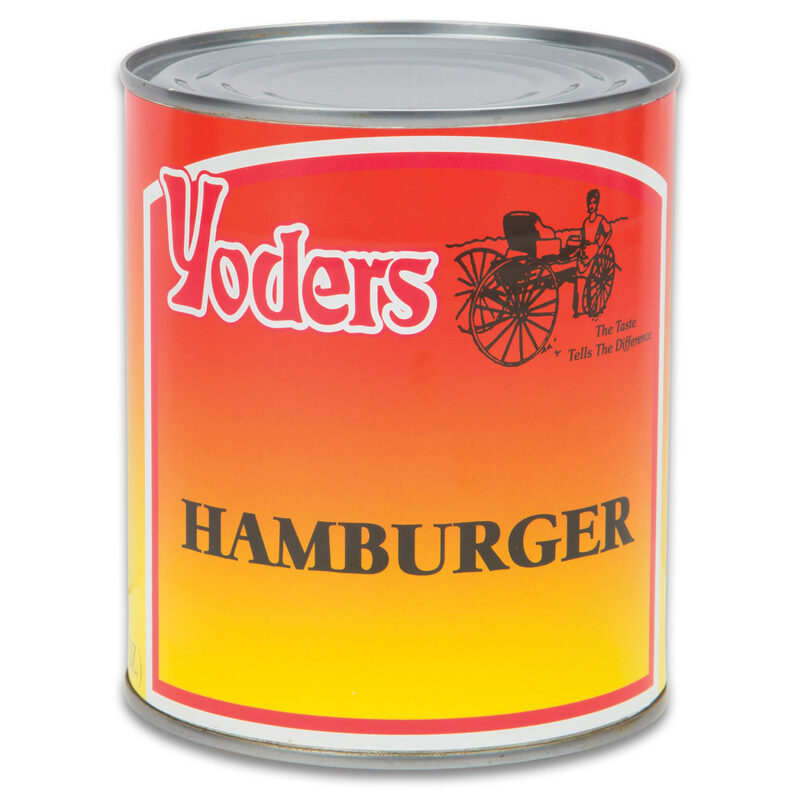 Yoders Hamburger Ground Beef is non-perishable, requires no refrigeration and is ideal for camping, travel, and long-term food storage. It may be stored for 10 years or more in its airtight sealed can. The 28-ounce can contains ground beef exclusively from US farm raised, USDA inspected choice cuts of meat and commercially canned in the United States under the strictest quality standards for optimal taste, quality and safety.